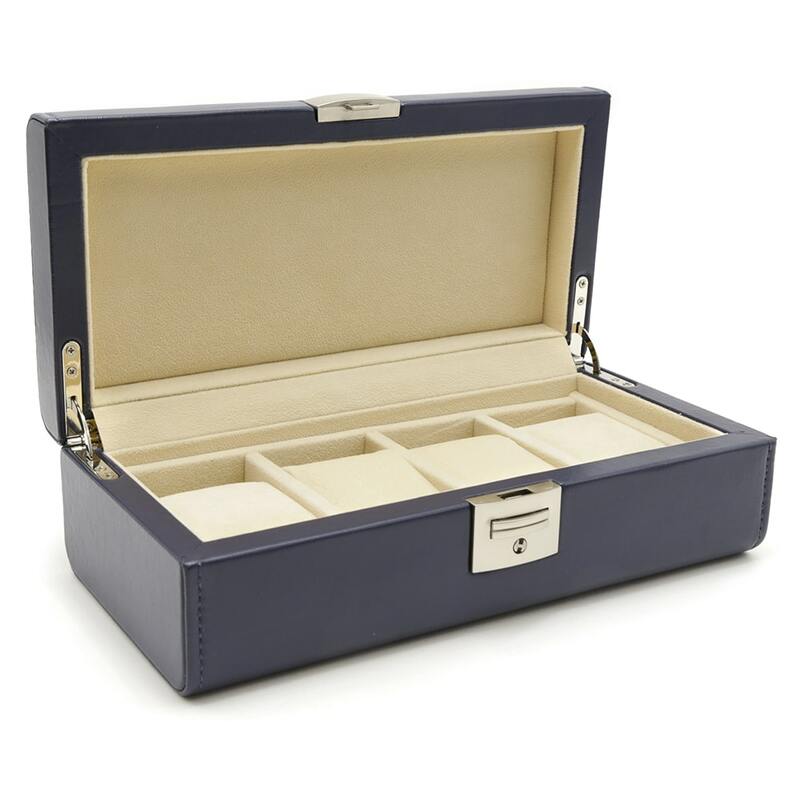 Keep your watches safe as you travel with this limited edition Navy Blue Gentleman’s Collection 4 Slot Watch Box. 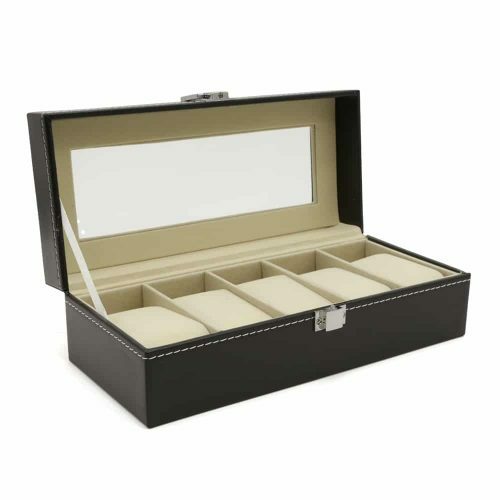 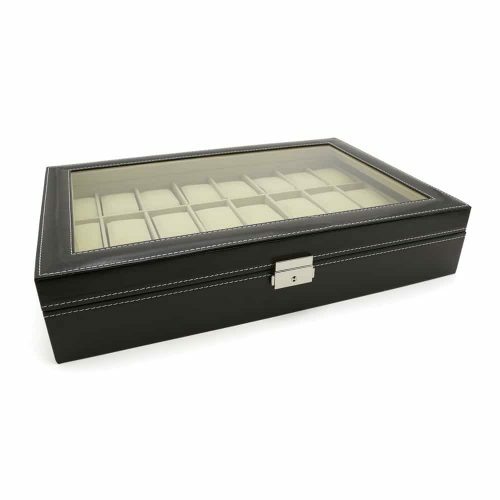 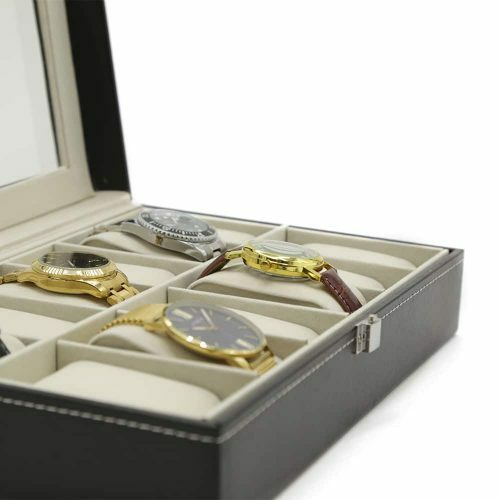 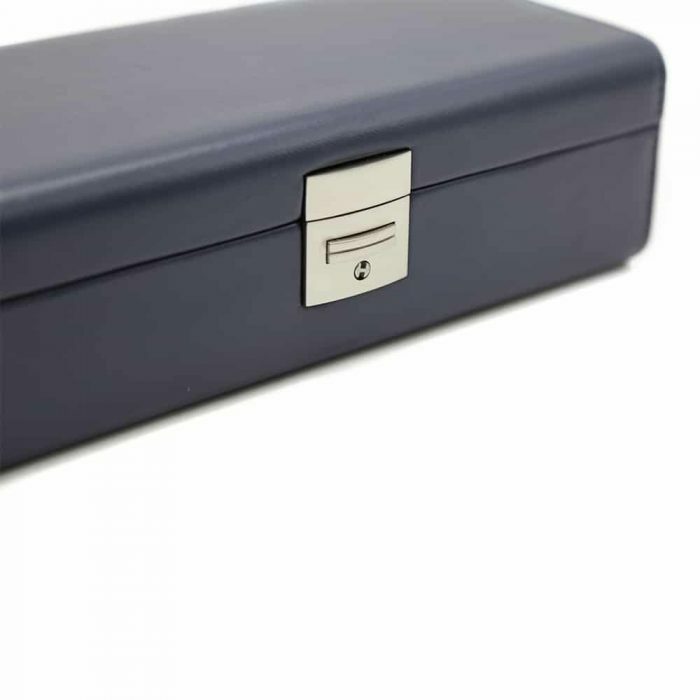 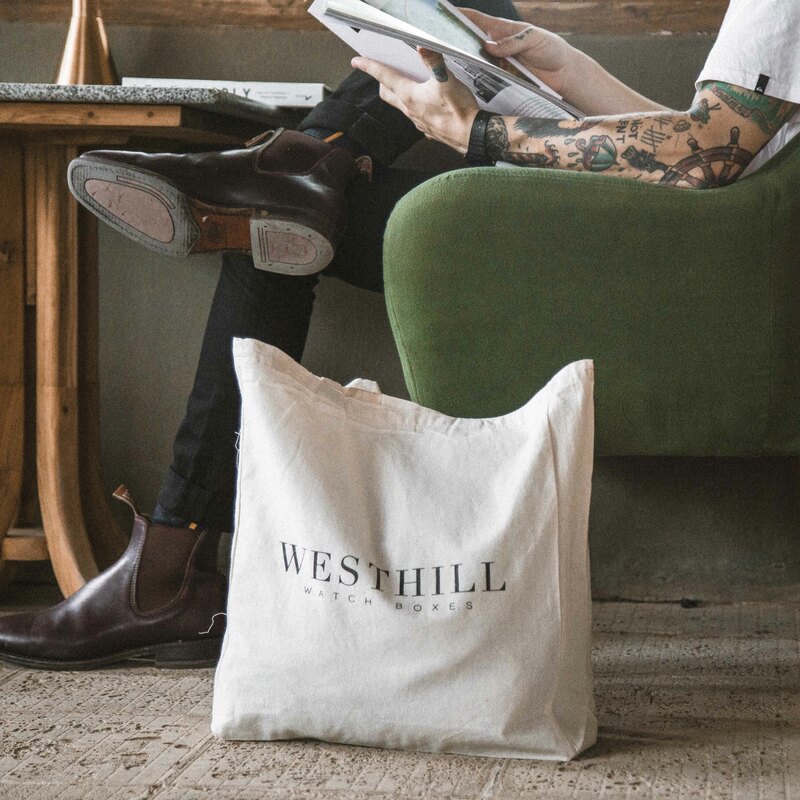 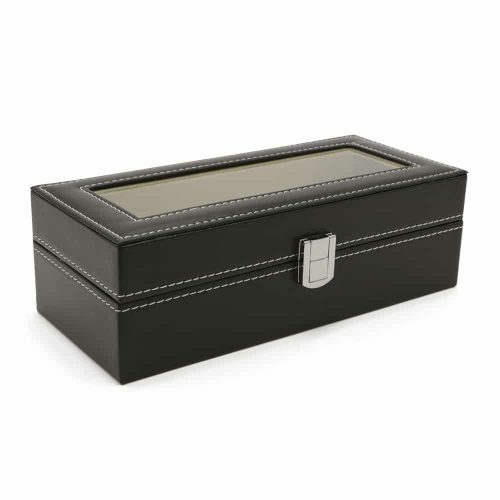 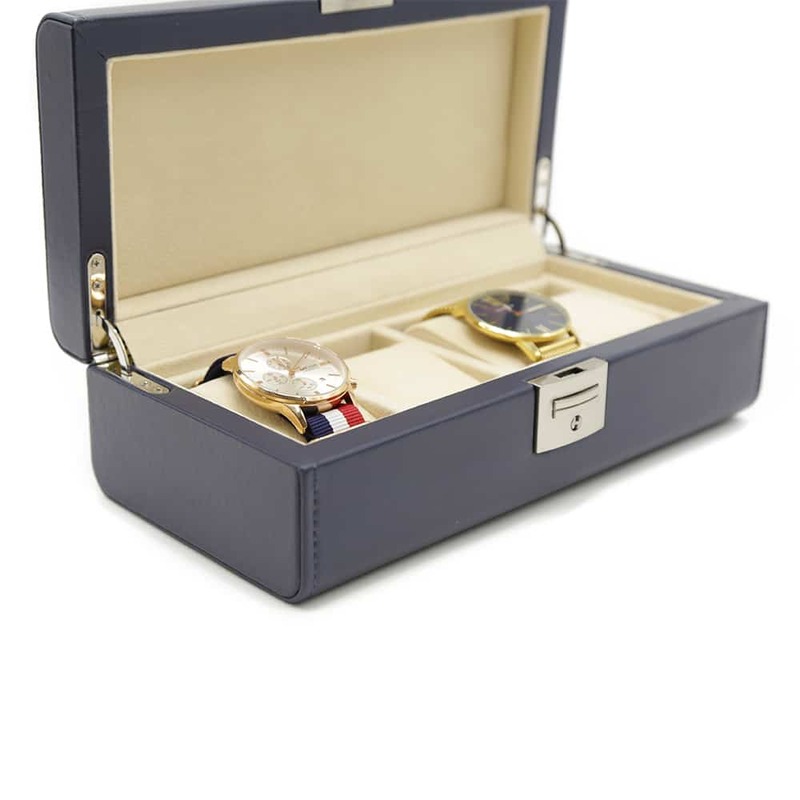 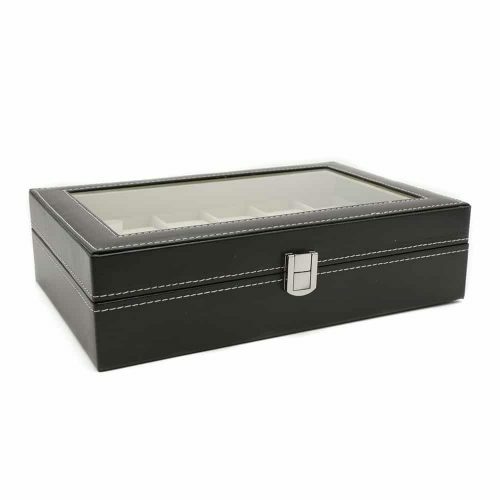 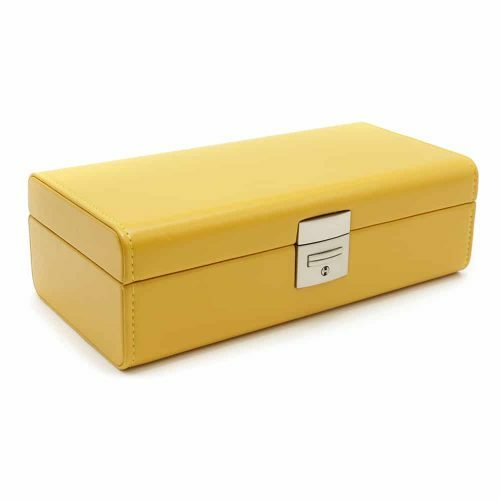 This men’s watch box has an exquisite soft navy blue exterior with a high-quality cream velvet interior. 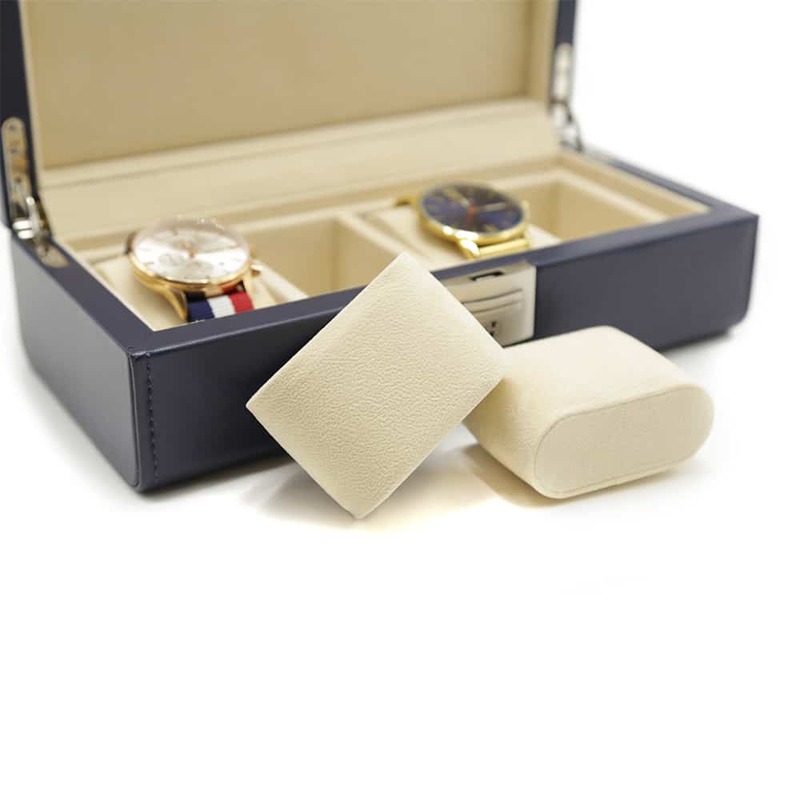 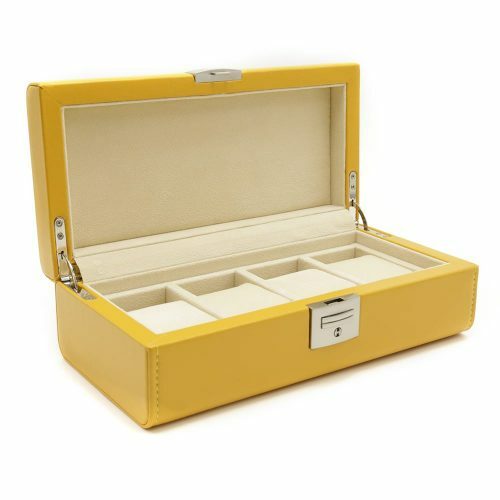 It has ample space for 4 of your watches with removable pads to ensure they remain scratch-free. 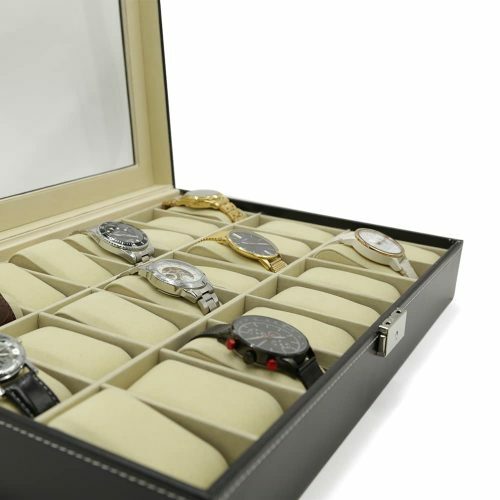 To ensure your watches are safe, it includes a lock and key making it ideal for travel and secure storage.